Long, gruelling and painful. But awesome! Claire was a bit disappointed with how she felt during her run, not as strong as last year but this was expected after injuries sustained in our April car accident and still not being able to strength train properly since. Just a bit of a shock when it becomes clear. But she was determined to go as hard as she could and ride her best which put her in 2nd place behind Emmeline Ragot. Chris tried clipping in for this event which is quite a big deal for him but he thought he would give it a go. He found it easier in the rough bits but that it also slowed him down in places where he would usually let it go a little more. A bit more practice might make him more confident with them. 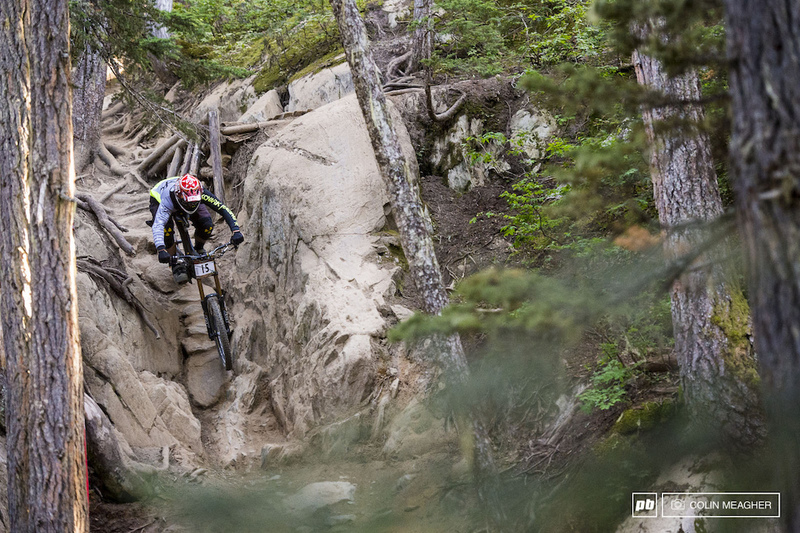 He finished 4th and less than a second off the podium behind Marcelo Gutierrez Villegas, Sam Blenkinsop and Remi Gauvin. Chris managed to fit in some filming earlier this month with Kenny Smith for his Dirt Diary edit which was shown at Olympic Plaza on Tuesday night. Pretty awesome show in front of hundreds of spectators. Those who raced Garbo the day before were definitely feeling it! 🙂 We were all walking around with sore lower backs and legs haha. A-line is a challenging track to race. Very BMX-ish and sprinty with lots of jumps to scrub and still land flat! A good challenge though. 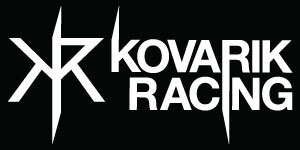 Claire managed a 4th place and 0.07 off the podium behind Jill Kintner, Emmeline Ragot and Florian Pugin. Chris stomped into 9th place on his M9 and flat pedals in a field full of top World Cup pros, most on smaller lighter bikes. We were pretty stoked with his performance. So while most of the top pros were at the MSA World Cup, Chris and Claire were shooting for Deep Summer. 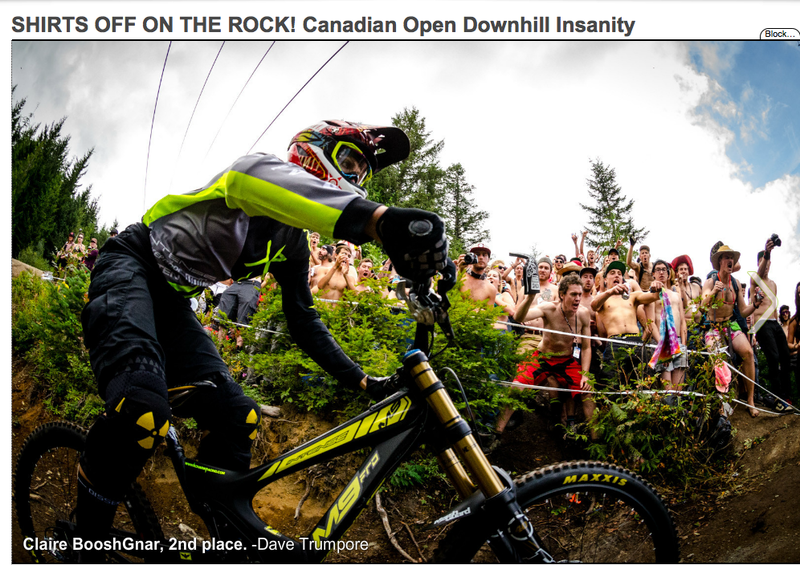 So for those that thought we were fresh coming into Crankworx, you were….well, wrong. 3:30am starts and shooting until after dark were long days but well worth it. We got some amazing shots and a chance to work with an amazing photographer, Bruno Long, as well as a rad crew of riders: Mason Mashon, Stephen Matthews and Nick Quinn. The slideshows were shown on Wednesday night at Olympic Plaza in front of a huge crowd! As soon as we get our hands on the link for our show, we will be sure to share it with you. The spectators and hecklers for this event are like no other! The track was extra gnarly this year too with the rain and showers we were getting over the past few days. Slippery mud over rocks and roots and some nice huge jumps! Getting comfy on the track was extra scary for Claire this year, still struggling a bit mentally after injuries. But she knew that if she could put together a clean run, she could do well. So with a somewhat conservative run and an almost off, she finished a solid 2nd behind Emmeline, again, and 7 seconds ahead of Florian Pugin, who did have a crash in the woods. But for her to be amongst riders of this caliber and finish the top Canadian in all her Crankworx events, Claire was both humbled and stoked. Chris ended up having an average run and was disappointed with his 22nd finish but is hungry for better results amongst the top boys. And guess what? He’ll have his chance! As we booked our flights today to the last 2 World Cup Rounds in Hafjell, Norway and Leogang, Austria! We were featured and participated in various media events all week! Pretty stoked on all the opportunities. 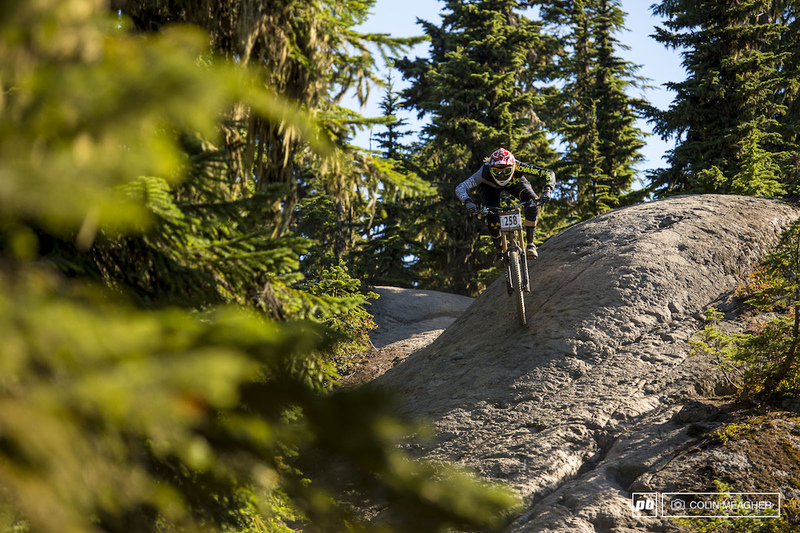 Crankworx 10th Anniversary Event Guide featured athletes and Berrecloth & Buchar’s Excellent Adventures article. Limited Edition Crankworx 10th Anniversary book, quotes and pics. Post Garbo run live web cast interview, Claire. Shooting for Dirt Magazine. We shot with Roo from Dirt on Friday in the mist and rain for their next issue. We were also coaching between all the madness, a couple privates in the beginning of the week and helping out our Rider Development Program youth throughout the week get dialed and confident on the race tracks. Oh and we did party one night, which is mandatory at Crankworx. We just didn’t have the energy to do more! So overall, a very busy but successful week. 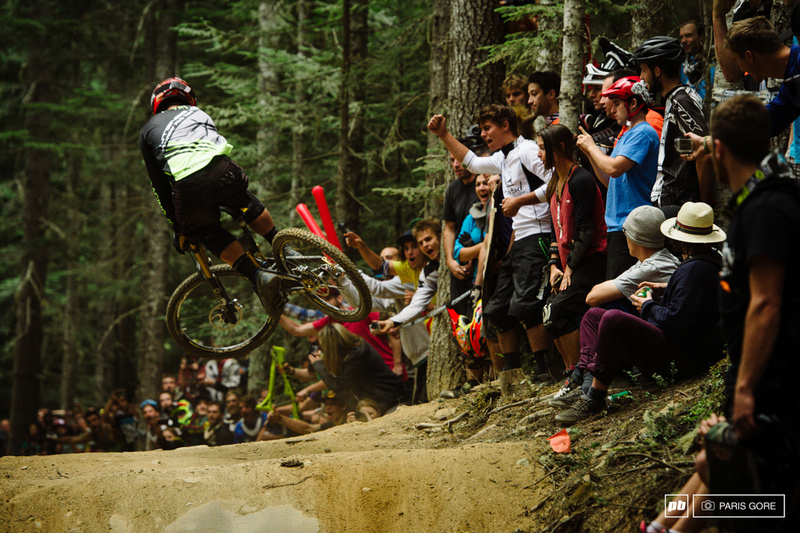 Thanks Crankworx and everyone involved in making it happen and thanks to all the top athletes and teams that come to town for all the great racing, riding, entertainment, fun, camaraderie and opportunities. I can’t believe it’s been 10 years! Till next year!